Nowadays you can pretty much sum up the entirety of the internet revolution with one simple word: cats. Amidst the billions of websites that cater for just about every human requirement and taste, cats feature in abundance. And that’s not necessarily a bad thing. After all, most people like cats and when cats aren’t sleeping and batting toys around the room, they can often be found on the internet in humorous poses. With that in mind, we have collected a series of images that show how cats can sometimes look like something besides themselves. These thirteen creatures before your eyes have an uncanny resemblance to a variety of famous people, characters and other “things”. Right, let’s get this one over and done with. 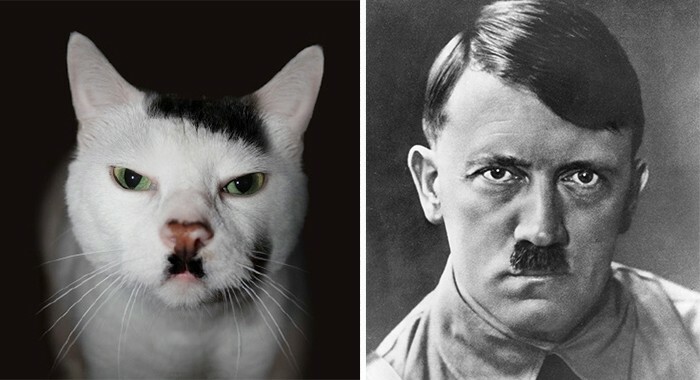 There is no way you can have a list of cats that look like other people without the infamous dictator cropping up. 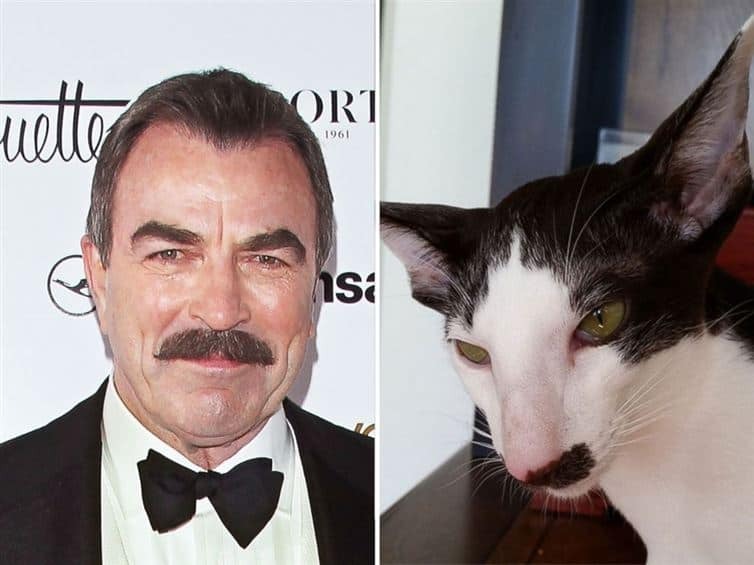 Okay we swear this is the last time we show cats that look like dead politicians. 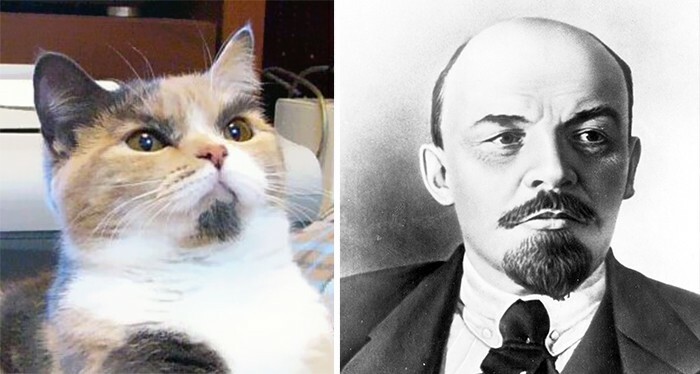 Here is one creature looking remarkably similar to the Russian communist revolutionary. This works both ways. 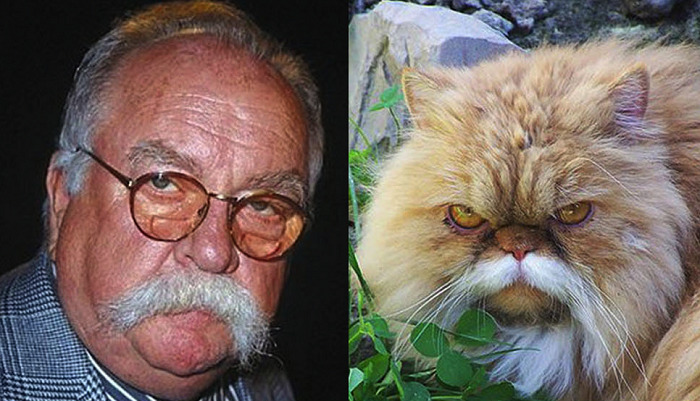 While the cat on the left looks like the famous Mythbusters co-host, half of Jamie’s face could be mistaken for a cat in itself. It’s the sneer and that thick upper lip patch that does it for this one. What is that cat doing to pull such a face? 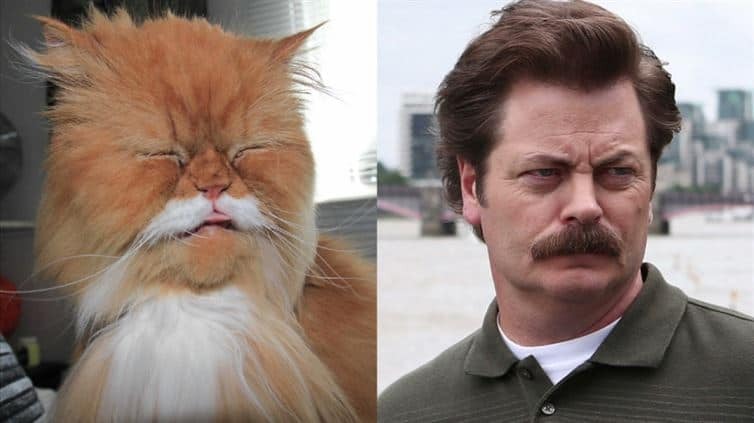 Either way, it has now been immortalised as the Parks And Recreation star’s doppelgänger. How many of you are imagining that cat complaining about diabetes in his voice? We said we were done with dead politicians. We didn’t say anything about alive ones. 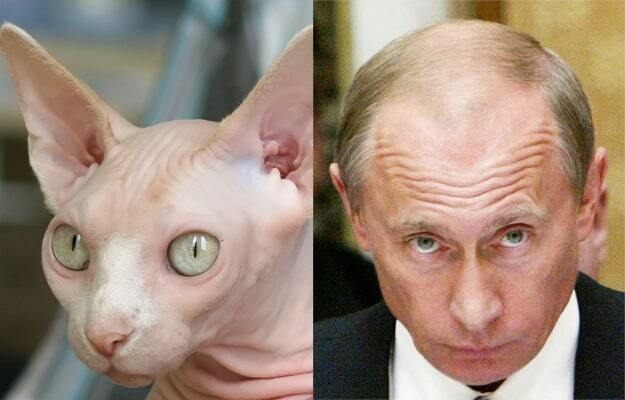 Here this bald kitty resembles the ex-president of Russia. 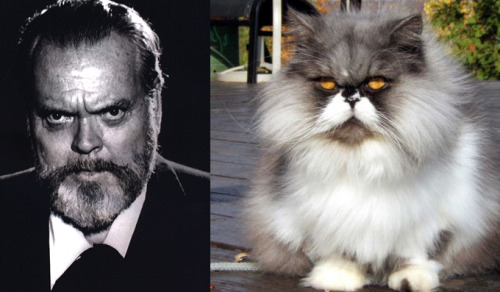 While he’s famous for being the director of one of the most famous films of all time ( Citizen Kane), many people don’t know he’s also well-known for resembling sad looking felines. 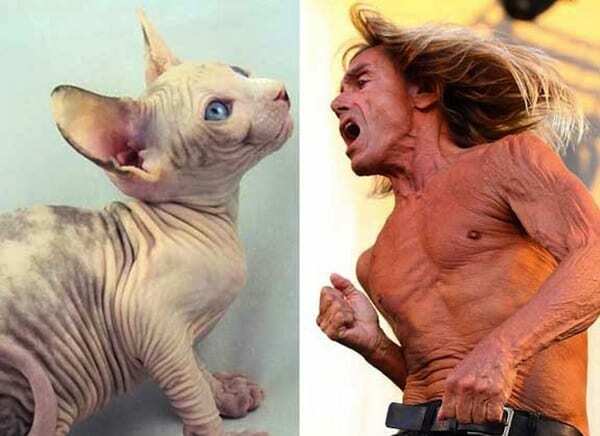 Put these two in a room together and we imagine their wrinkles would just conquer the universe. Even the cat is not happy about being compared to Nicki Minaj. Yep. 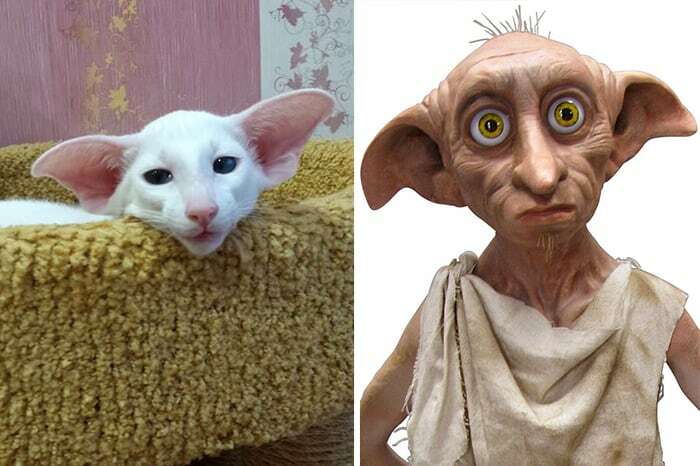 Cats can even look like fictional characters. Here this little critter looks like the Harry Potter character. Well if there’s one thing cats would want to be compared to, it would be things they enjoy eating. This would be like us looking very similar to a pizza. Batcat? Catbat? 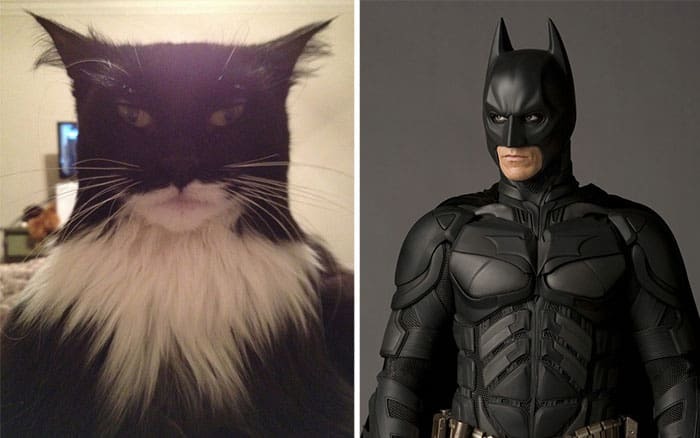 Batman Cat? Whichever way you look at it, this feline creature looks as though he takes things very seriously.